Around a year ago we made a post warning users about the CryptoLocker virus. In the past two weeks we have witnessed the onslaught of the second version of this nasty, malicious program. CryptoWall 2.0 is a program that is installed by clicking on fake ads, phishing links in emails, fake program updates (ie. Flash, Office, or Java) and it immediately begins encrypting your personal files. It starts with the most important files like pictures, documents, and the items on your desktop. We can’t tell you for sure what symptoms to watch for, but certainly be extra vigilant about clicking on things you are unsure about. If you are concerned about something, give us a call and we can help. The most important thing we can recommend to keep you from losing everything on your computer is this one simple piece of advice: Get a backup solution. Whether you burn your pictures/documents to a disc, put them on an external drive or thumb drive, do something! If you do put them on an external device, make sure that you disconnect it afterward so that CryptoWall cannot spread to that device as well. If you think you are infected, shut off your computer IMMEDIATELY. The sooner you do that, the more likely you are to save your files. We can remove the virus and attempt to recover any non-encrypted files. A website similar to this may come up after the encryption is complete. There has been recent surge in scam phone calls claiming to be tech support from major companies, such as Microsoft, informing users of problems with their computers. The person calling will claim the system has infected files or other threats and then direct the victim to a website that will allow the scammer access to their computer. Once connected they can then install any number of viruses or malicious software. They may also leave software installed that allows them to remote in whenever they want and potentially give them access to personal or financial data. If you receive one of these calls it’s best if you hang up immediately. No legitimate company will ever call you at random about potential threats on your computer. If you feel like you’ve been victim to this scam, please contact us right away and we can address any concerns you have. 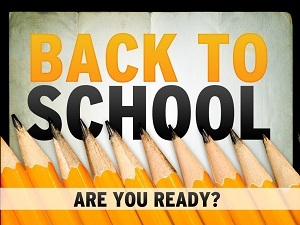 Back To School 2014 – Be Prepared! It’s that time of year again, so get a head start by having Level Seven clean up your computer to be ready for the school year. If your system is running slow, having pop-ups, reporting errors or not even booting, we can help with that! 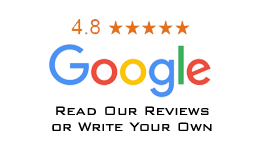 We can do a full hardware diagnostic, scan for viruses, and clean the junk files and programs that have been building all year. We’ll get your PC running smooth so that all you have to worry about is getting your homework done on time! Don’t forget, we also have great deals on used laptop & desktop computers, perfect for everyday student or home office needs!